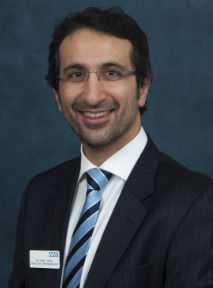 Mr Omar Durrani is a Consultant Ophthalmic, Oculoplastic and Orbital Surgeon at BMEC and was appointed to the post in 2006. He is an Ophthalmologist (eye surgeon) who has completed additional advanced training in plastic, reconstructive and aesthetic surgery as it relates to the eyelids, the tear drainage system, the eye socket and surrounding structures. 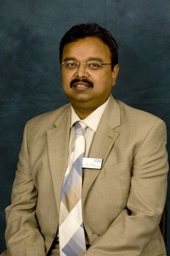 He is the Director of the Oculoplastic services for BMEC and SWBH and the Director of Governance at the BMEC. He is also a Honorary Senior Lecturer with the University of Birmingham. He completed Specialist training in the West Midlands followed by the prestigious Oculoplastic & Orbit fellowship at Moorfields Eye Hospital, London. His main research interest is in the immune mechanisms of orbital diseases. He is currently supervising a PhD program investigating the immunologic aspects of thyroid eye disease. He has over 40 scientific publications to my credit including book chapters. He lectures extensively across the UK and internationally and helps train other surgeons in minimally invasive / keyhole surgery. He also appeared on Channel 4’s ‘Embarrassing Bodies’. Minimally invasive aesthetic surgery of the eyelids, eyebrows and cheeks (blepharoplasty, brow lift & cheek lift).